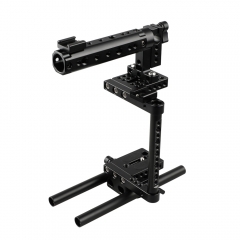 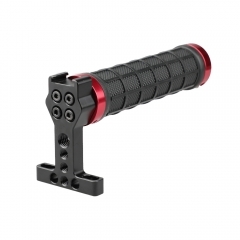 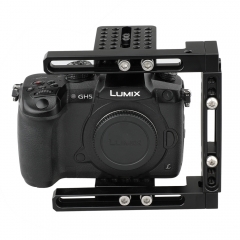 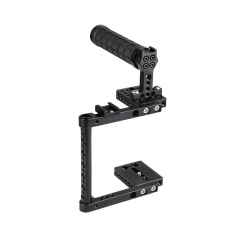 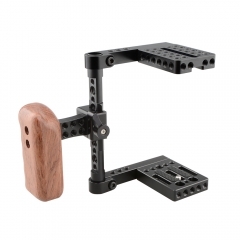 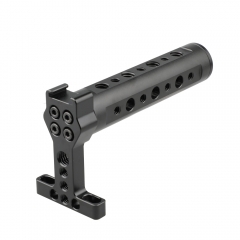 The cage is compatible with Canon 60D,70D,80D,5D MarkII,5D MarkIII,5DS,5DSR, 50D,40D,30D,6D,7D,7D650D,600D,550D,500D,450D,760D,750D,700D,100D,1200D; Nikon D3200,D3300,D5200,D5500,D7000,D7100,D7200,D300S,D610,DF; Sony a58,A99,a7,a7II; Panasonnic GH5/GH4/GH3/GH2, etc. 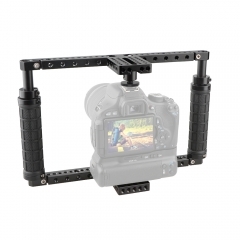 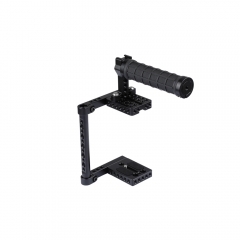 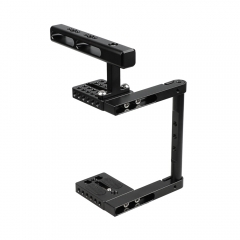 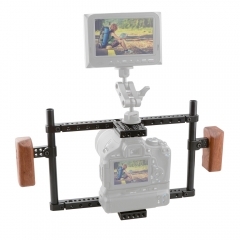 The side support comes with two different kinds of sliding bars, one is 68mm, the other is 105mm.You could loosen the Allen key screws, slide along the grooves to adjust the height and clearance to fit your camera. 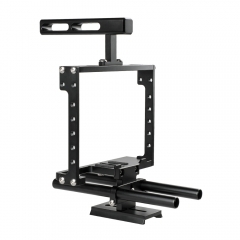 In addition, turning over the cage (C-frame), exchanging the position of top plate and baseplate, it could turn to be left-sided or right-sided.